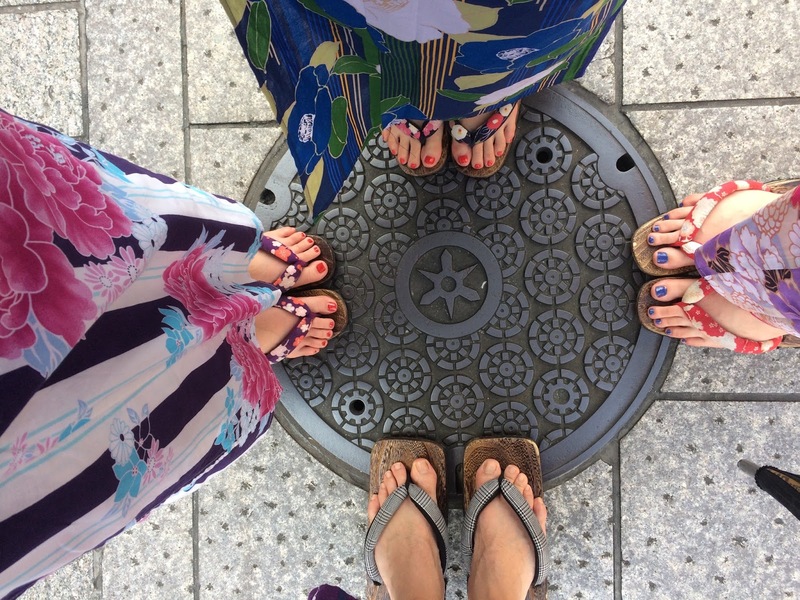 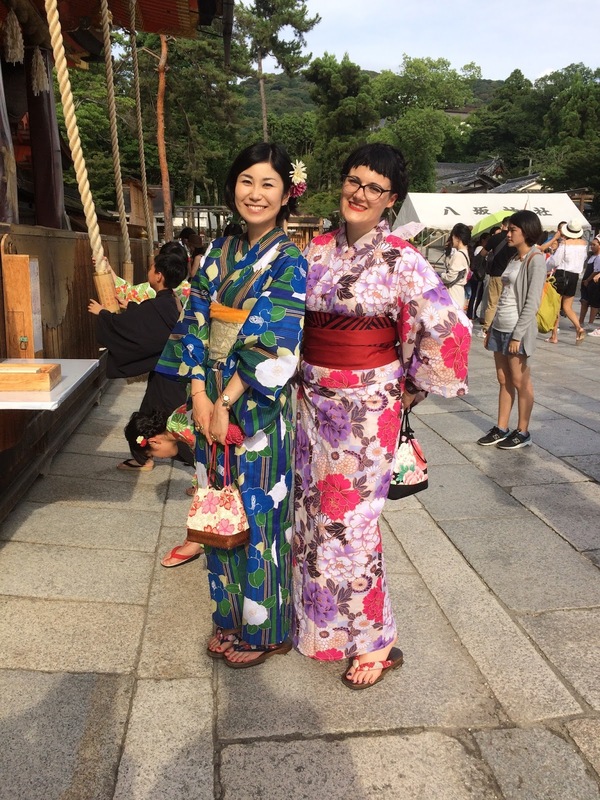 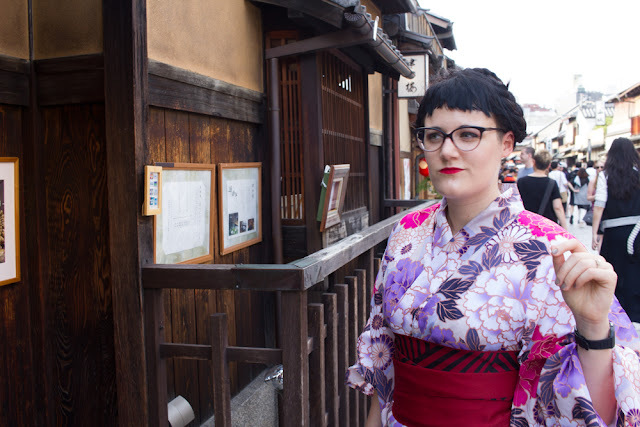 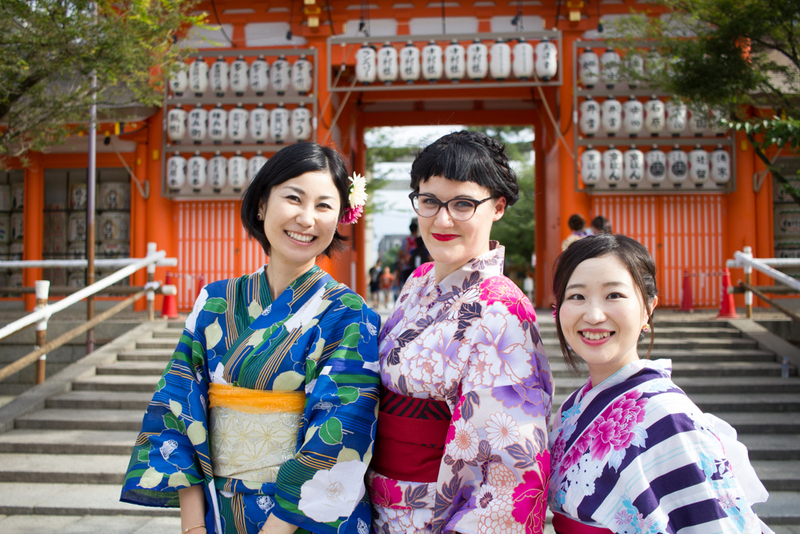 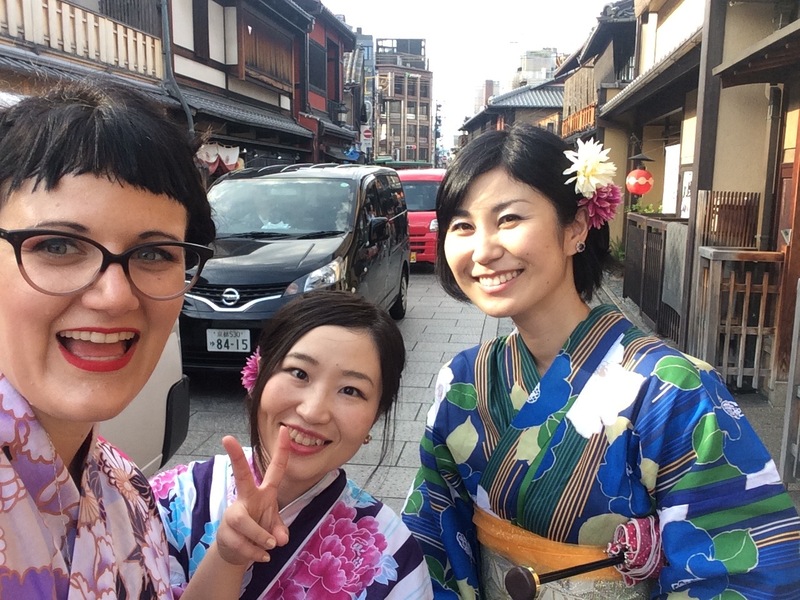 As a sequel to my Kimono-in-Kyoto post which was done in February, I returned to Kyoto in the summer to try a second round of photos in yukata, or summer kimono. 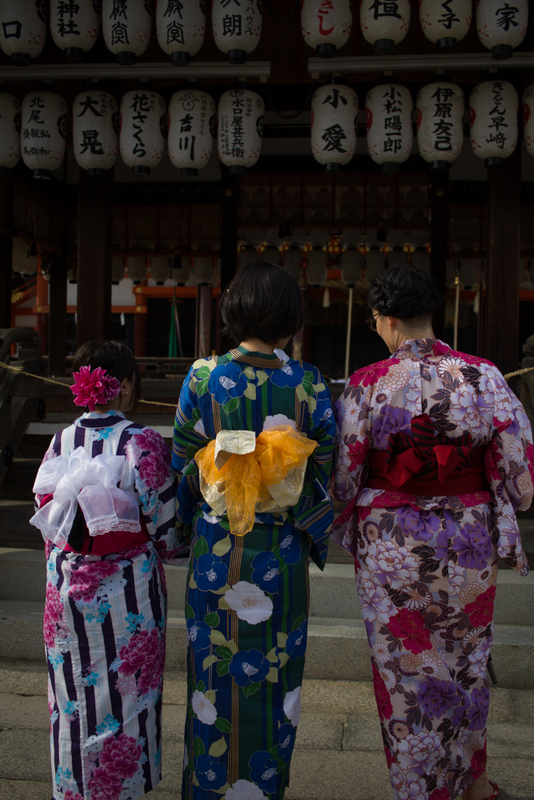 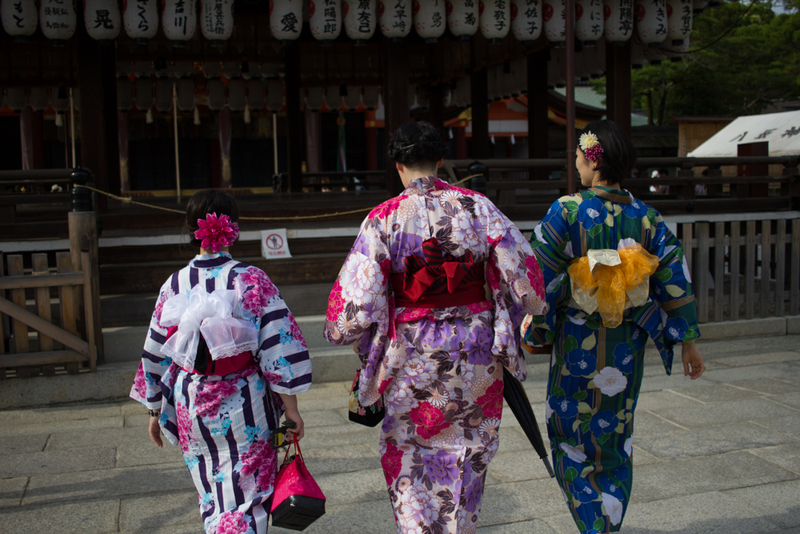 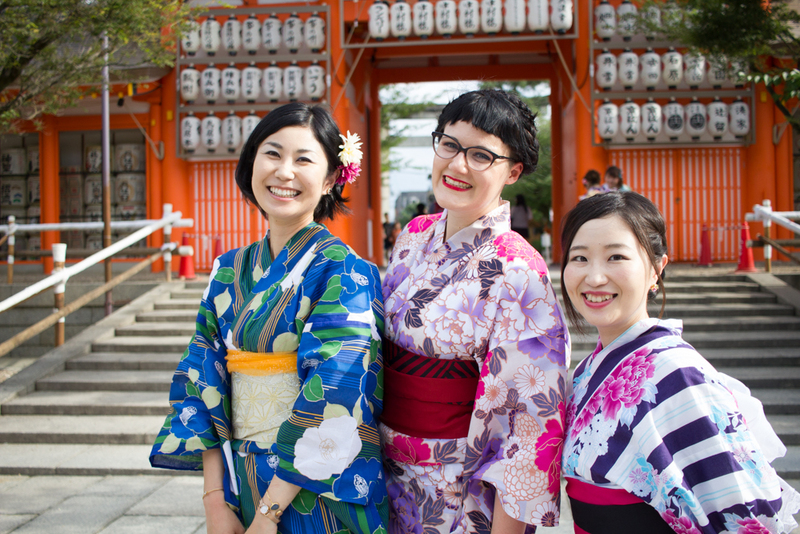 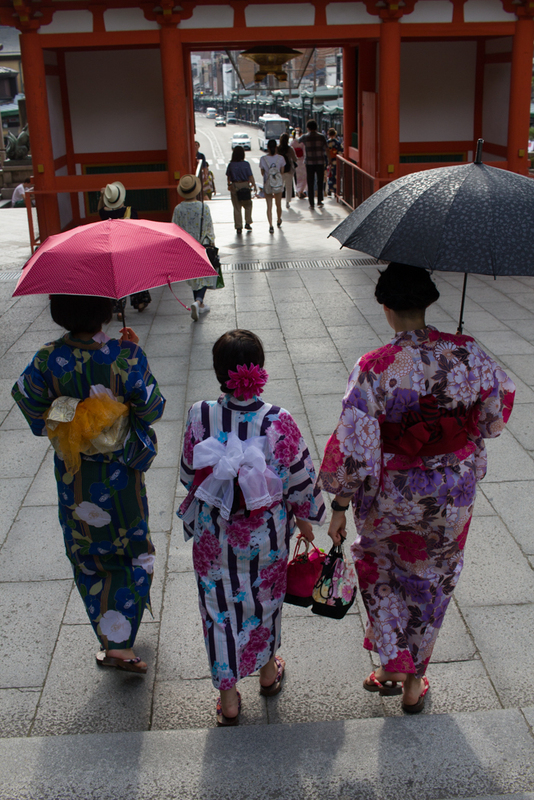 Unlike the kimono which has 3+ layers, the yukata only has 1-2 and is made from a light breathable fabric. 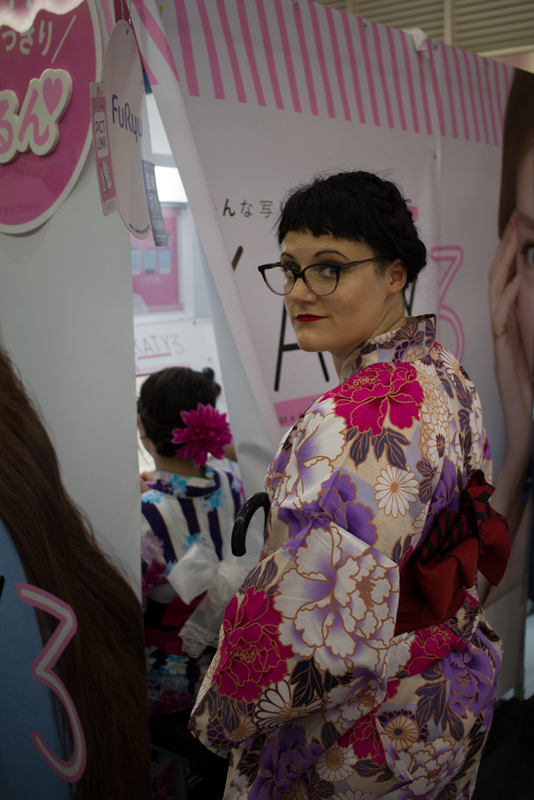 Still, after wearing this thing for 6 hours, I was covered in sweat and barely able to breath (because of the tightly-wrapped obi around my waist) and barely able to walk (because of the uncomfortable shoes). 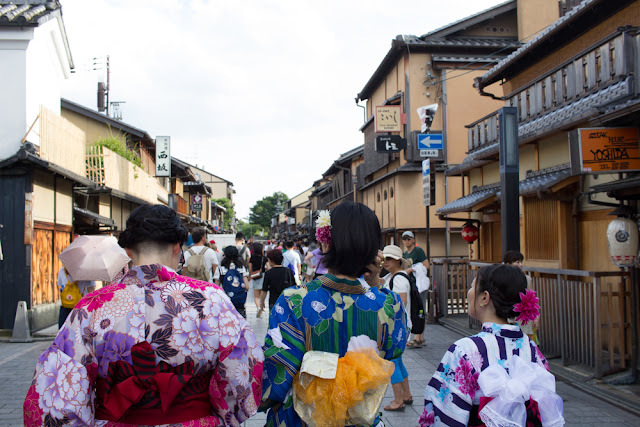 At least this time we visiting some different photo backdrops, including Yasaka Shrine, and the history Gion district. 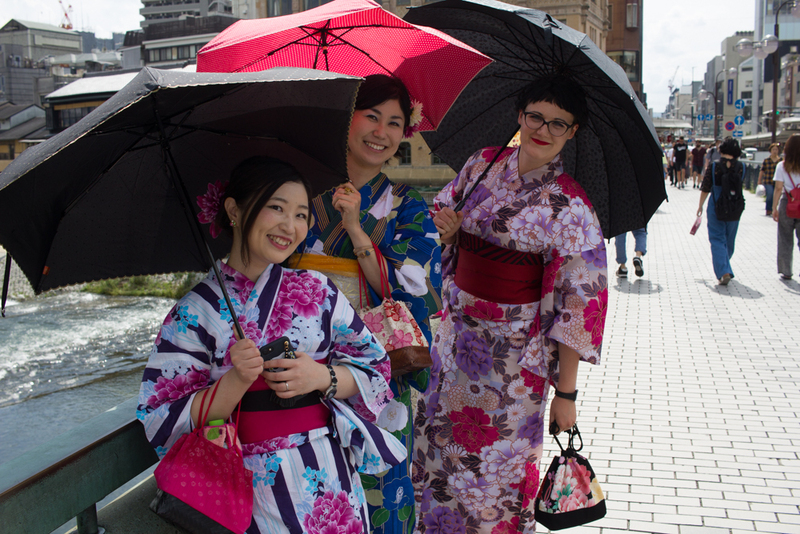 Also, because we were traveling with my camera-shy partner, we had a full-time photographer the whole way. 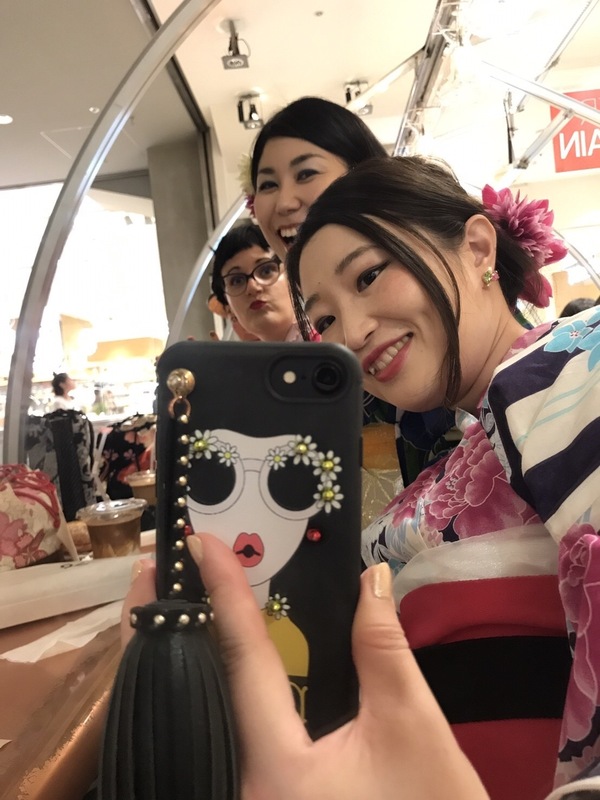 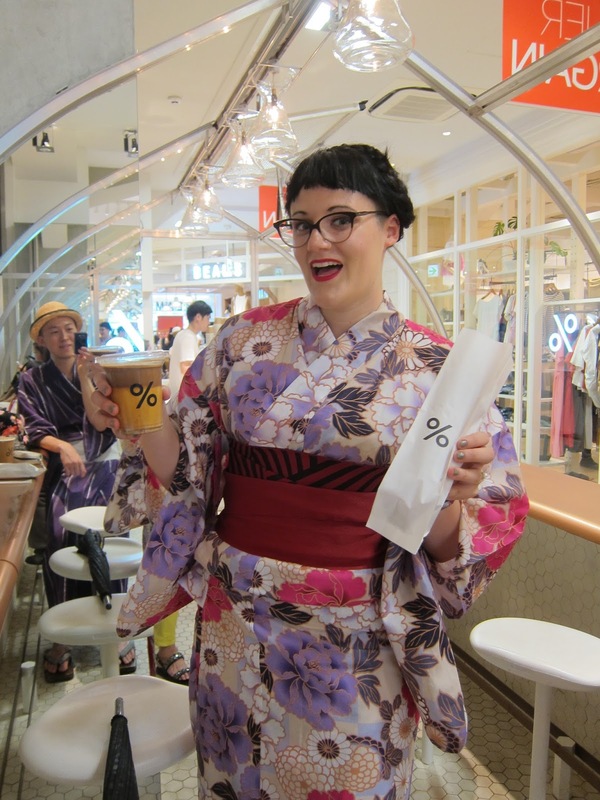 Part of the adventure of wearing a Yukata in Kyoto is making a visit to % Arabica cafe in the Daimaru department store, where you and dual-wield a baguette and iced coffee with your yukata. 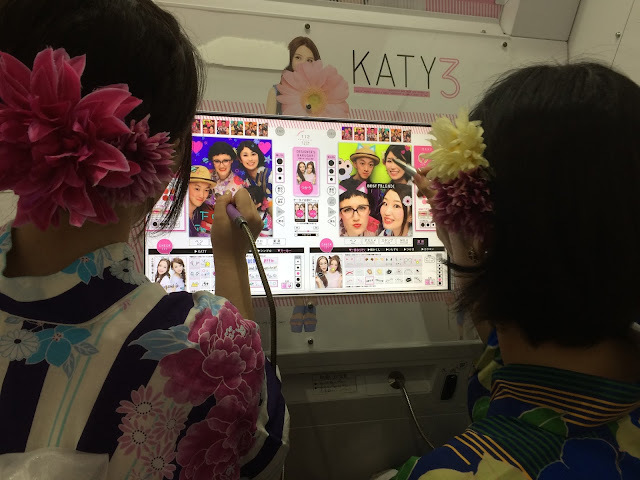 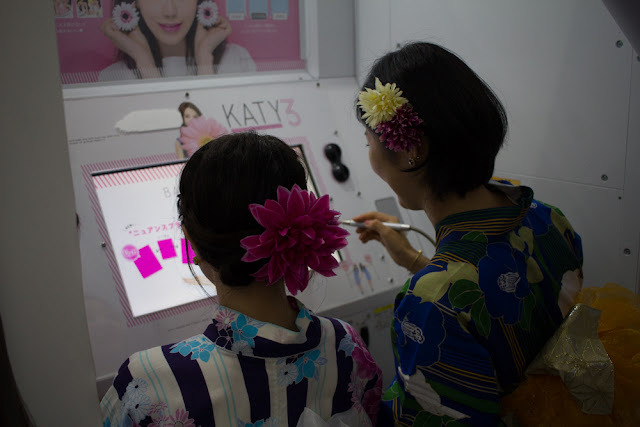 The climax of our long day was a visit to the purikura stick photo booths, where we took pictures of ourselves in yukata and decorated them.